Touch wood and all those other lucky things, I have never had a serious accident or problem or emergency when I’ve been travelling. And I really hope it stays that way forever! Being a travel blogger with lots of travel-loving friends I have too often logged onto Facebook and seen a friend who’s just dodged an earthquake or been near some other natural disaster and honestly – I’m very glad it wasn’t me! 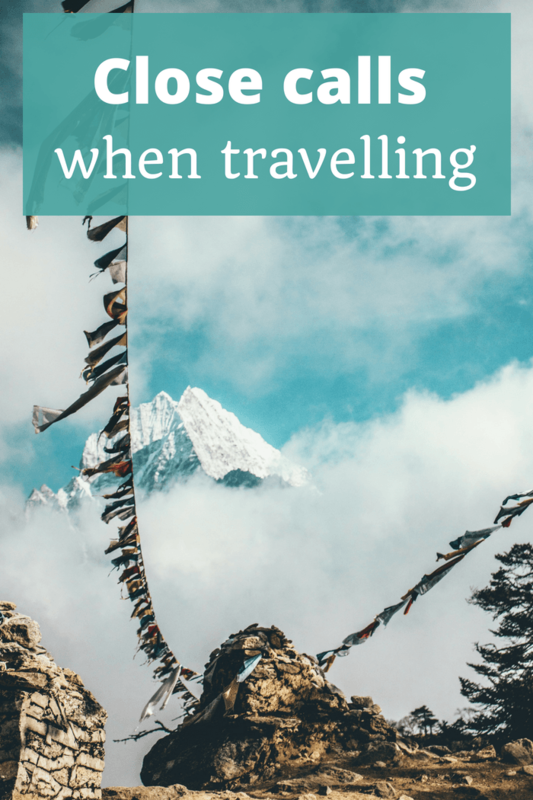 In this episode of The Thoughtful Travel Podcast I had the chance to hear two interesting stories from travellers who were lucky when they travelled not to have something more serious happen to them. And I’m grateful for these two travellers for telling their stories! Travel safety is often a concern and I’m sure I’m not the only one who checks government safety advisory messages (often with a grain of salt, it must be said) before I travel to a new destination. But honestly, crazy things can happen whether you’re at home or abroad and I tend to agree with Pam Lynch, one of the guests in Episode 99 of The Thoughtful Travel Podcast, when she talks about the sentiment that either it was meant to be your time or it wasn’t. In this episode, I start by talking to Pam about her experience of the Nepal earthquake of 2015. I know Pam well and have heard her speak about this close call many times, and yet every time she tells the tale I end up with goose bumps down my arms and shivers down my spine. You just never know what’s around the corner, and Pam tells the tale in a way that will make you think. My second guest is Margarita Pas, a Polish globetrotter now based in the United States, who tells me about a trip she took to Namibia. It’s a great warning tale about being prepared and how it’s often easy to be poorly prepared when we don’t know the place – I know I have sometimes done things abroad I would never be silly enough to do at home, but it’s hard to know all the details when you’re in an unfamiliar place. Margarita took a rather exciting road trip and came out fine and able to tell the tale – and it’s well worth a listen. Pam’s new book, How the Hell Did I Get Here?